Information that we collect: Celebrations Group collects, stores and uses personal information about you which you have provided to us in any form or via the Website. Celebrations Group collects personally identifiable information, such as your e-mail address, name, home or work address or telephone number. Celebrations Group also collects anonymous demographic information, which is not unique to you, such as your postal code, age, gender, preferences, interests and favourites. If you do not provide the personal information we have requested, Celebrations Group may limit the services it provides to you. Collection and storage of personal information: Any personal information you provide will be held in accordance with the requirements set out in the Privacy Act 1993 and this clause 9.  Personal information may be held by Celebrations Group (or its agents) electronically or in hardcopy (in New Zealand or elsewhere) but in all cases Celebrations Group will control that information. to inform you of other products or services available from Celebrations Group and its affiliates. Celebrations Group may also contact you via surveys to conduct research about your opinion of current services or of potential new services that may be offered. and share that with trusted partners to help us perform statistical analysis, send you email or postal mail, provide customer support, or arrange for deliveries of goods you have ordered. All such third parties are prohibited from using your personal information except to provide these services to Celebrations Group, and they are required to maintain the confidentiality of your information. Who we share your information with: Celebrations Group does not sell, rent or lease its customer lists to third parties. Celebrations Group may pass your personal information on to other people who have been authorised or licenced by Celebrations Group so that person can use your personal information for the purposes you provided it to Celebrations Group. Celebrations Group will not release your personal information to any third party except where required to, permitted to by law, where you have authorised us to do so or where disclosure is connected to the purpose for which the information was collected.